UC Santa Cruz history professor David Anthony will interview special guest Ethan Michaeli, author of the The Defender: How the Legendary Black Newspaper Changed America. 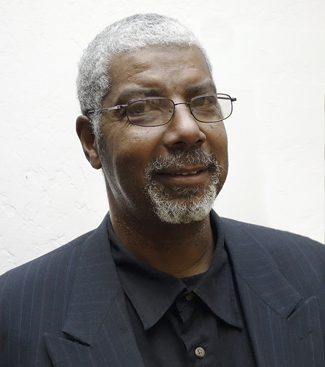 The UC Santa Cruz Institute for Humanities Research will present UCSC Night at the Museum: The Kinsey African American Art & History Collection, a free public event at the Santa Cruz Museum of Art and History, on Wednesday, May 18, beginning at 6 p.m. The event offers the community a chance to explore one of the largest collections of African American art and artifacts in the country, spanning 400 years of history. With education as a goal, The Kinsey Collection has been on a national tour since 2007, including stops at such venues as the Smithsonian National Museum of American History, The Norton Museum of Art, and The California African American Museum. 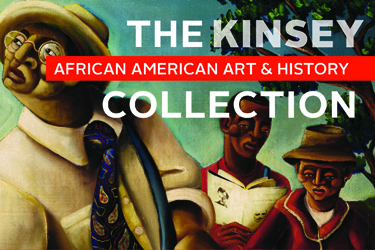 Reflecting a rich cultural heritage—and the often untold story of African American achievement and contribution—the Kinsey Collection includes work by Romare Bearden, Elizabeth Catlett, Jacob Lawrence, and Richard Mayhew, alongside archival material related to Frederick Douglass, Zora Neale Hurston, and Malcolm X. 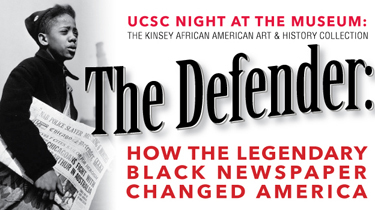 The evening will include a public conversation with special guest Ethan Michaeli, author of The Defender: How the Legendary Black Newspaper Changed America. Michaeli will be interviewed by UC Santa Cruz associate professor of history, David Anthony, starting at 6:30 p.m.
“The Defender is a detailed, accessible, lively narrative that reconstructs the history of an iconic voice in the long saga of African-American journalism, demonstrating its world historical impact,” said Anthony. Anthony added that he was intrigued by the manner in which the author captured the story of The Defender. Anthony said that his conversation with the author will be followed by a public reception and book signing. He noted that the audience will have time to examine the Kinsey Collection both before and after the interview. UCSC Night at the Museum: The Kinsey African American Art & History Collection, takes place on Wednesday, May 18, beginning at 6 p.m. at the Santa Cruz Museum of Art and History. Admission is free and open to the public. Click here to register for free admission. For more information, contact UCSC’s Institute for Humanities Research at ihr@ucsc.edu or (831) 459-5655.